John has become an entertainment go-to for many top companies, weddings and events. 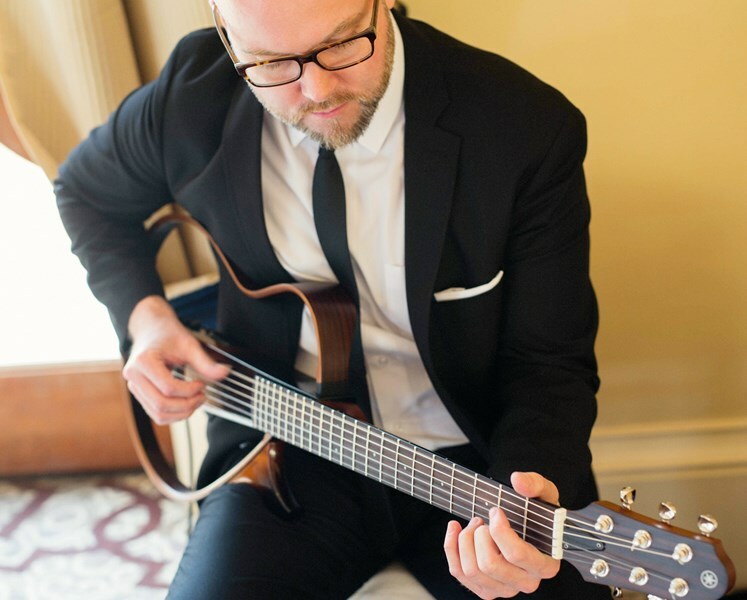 Known for his stylistic mix of classical guitar and modern pop arrangements, John creates an unforgettable musical experience and adds just the right touch to any event. He is a former Cirque Du Soleil musician and has performed all over the world. From the Beatles to Coldplay and from Sinatra to Stevie Wonder, John's guitar arrangements are very lyrical, lively and entertaining. Hire John to add just the right special touch to your event or wedding, making it even more memorable and unique. 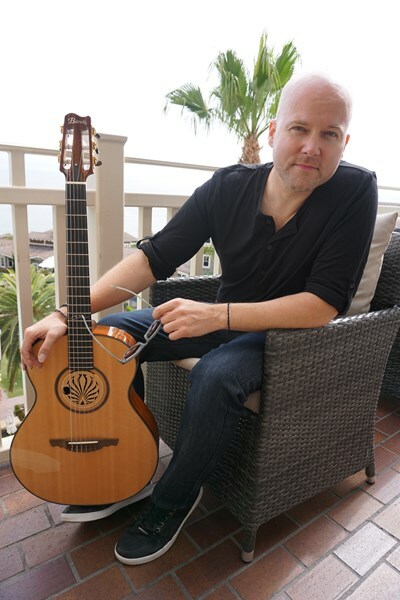 Guitarist and recording artist, John Scott Evans, is a versatile musician who blends a multitude of styles into his own sound. John has performed with Cirque Du Soleil and has shared the bill with an array of notable artists across the globe including the legendary Chet Atkins. Born and raised in Atlanta Georgia, John began learning the guitar at the age of 10 by his father who was also an accomplished guitarist. He later went on to study at various music schools including the Berklee College of Music in Boston MA. Having lived as a professional musician in Atlanta, Nashville, New York and Los Angeles, John has performed as a touring sideman and session player for artists and groups including Cirque Du Soleil, Corrinne May, Carissa Vales, Billy Ray Cyrus, Mark Shultz, CBS Studios, Allen Levi and many others. John's previously released album Above The Sun was re-released by Warner Music Singapore throughout Asia. John is a professional. Very accommodating. Great interaction with the guests. Great talent. We have already recommended him to some people. John was very professional the entire time of the party. All our guest enjoyed his talent and kept complementing his performance. 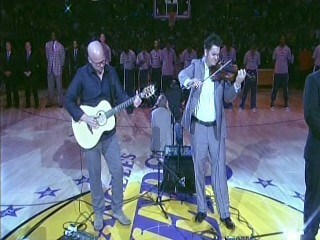 We enjoyed having John for the party and would highly recommend him to anyone else interested in live entertainment. Please note John Scott Evans will also travel to East Irvine, Lake Forest, Laguna Hills, Mission Viejo, Tustin, Aliso Vajeo, Santa Ana, Silverado, Laguna Beach, Orange, Rancho Santa Margarita, Trabuco Canyon, Newport Beach, Corona Del Mar, Costa Mesa, Laguna Niguel, Balboa Island, Balboa, Villa Park, Anaheim, Fountain Valley, San Juan Capistrano, Garden Grove, Atwood, Corona, Dana Point, Huntington Beach, Yorba Linda, Capistrano Beach, Midway City.